The central bank of the Philippines has taken pertinent steps to best monitor the real estate exposure of local banks and prevent a housing bubble. By amending the financing reporting package of banks under the so-called from Contract to Sell (CTS) financing, the Bangko Sentral ng Pilipinas hopes to curb any signs of a property bubble arising from the real estate boom in the country. Before the amendments to the guidelines, the central bank only requires banks’ loan exposures to low-cost housing projects financed by government-run companies. Local banks are now asked to reveal all transactions pertaining to the property industry. 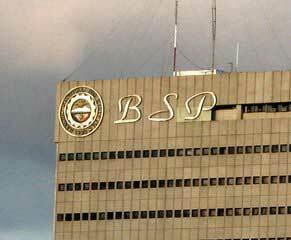 The BSP issued on Dec. 17 Memorandum No. 58-2012, which states the amendments on the Financial Reporting Package” of banks. “To allow for additional disclosures on non-performing loans and contracts to sell,” the BSP issuance notes and prompts a consolidated monthly reporting of banks and their branches (quarterly for subsidiaries with similar exposures) of such transactions related to property financing. Specifically banks are now asked by the BSP to include in their balance sheets the amounts of loans and receivables from Contract to Sell (CTS) transactions. The reporting of banks should include a breakdown of exposures covering peso accounts, foreign accounts, foreign currency deposit accounts and foreign offices. This is also applied to loans and receivables from interbank loans, repurchase agreements and securities lending and borrowing transactions.